I'm not primarily a user of DXF/DWG (but I've have had it occasionally making a couple drawings to 3D). All I can say is history repeats itself. I've been asking for another file format for a few years already. I feel the Affinity team is focusing too much on core tools, new and innovative tools, and fancy features, instead of crucial file format support. Hopefully the wind will turn and our long lost file support will be a thing!! More customization of keyboard shortcuts. Especially the brush size/hardness controls! @SrPx having to use a 3rd party application to get what should be a core function in Photo is... quite the hurdle. Bumping this one. I think this wish of mine still holds true, and I'm certain you'd gain a bigger user base, seeing as there's a lot of modders and creative gamers on Steam who also like to do 3D modeling, painting, texturing.. Lack of TGA is the biggest downside to Affinity Photo for me. And it's beyond me how they keep neglecting this request we've had for years. I don't know programming, but I can't imagine it will take so much time and effort that they don't see the value of it. It's a widely known and used format in many instances. Broadcast and games are the ones I can come up with right now, but these are potentially huge markets. Here to raise my voice as well. Datasets from csv is highly required in part of my tasks. I'm making lower thirds for a live event these days (we're talking about 80 graphics with names, song titles or activity etc). I've previously done lower thirds for sports events where we've had up to 300 graphics that'd be presented over the course of two days. CSV, export dataset as image files.. Highly required. OH! And TGA.. because the ATEM video mixer takes TGA with alpha..
Latest thing I read about this in another thread (but about TGA), is it's way down on the list (and by the looks of it, has been since 2016). It's starting to look like I'm that bitter old neighbor who hates kids, collect soccer balls they accidentally shoot over my side of the fence etc.. I'm really not. I am just frustrated as something as simple as this can be lacking from a popular (and in all other ways really good) piece of software. TGA + DDS export in 2019? Would be awesome. I tried Xnview (I could never get into the imagemagick website, it times out..) but there doesn't seem to be any options like flip, flop, mipmaps, which compression etc. So that leaves me with Photoshop, agian. Still no news about this. I am fighting the current works of channel packing. It's such a hassle and not the least bit enjoyable vs. how Photoshop handles this, which imho is the way to go. Crossing fingers there will be change in future updates. That's sort of the funny thing I see all over facebook in different 3D app/game engine groups. So much praise for Affinity from a group of users/fans, yet so little knowledge about drawbacks like this. It is simply outrageous. When I point it out to them that "yes, Affinity is cool and all that, but did you know.... TGA and DDS..." they react in shock and disbelief, some even try to defend Affinity for it. I'd love a STATEMENT from Affinity as to WHY they're not even thinking of adding DDS or TGA. A REASON I could reason with. For as long as we're kept in the dark, I will continue fighting this monstrosity. How do I properly work with alpha channels?! I'm shocked as there seems like we're talking to deaf ears.. Today I had a game model I had to edit, and the textures are only available in DDS. You, Affinity, are holding us back from using your awesome software at its full potential, and keep forcing your customers to go elsewhere (where we'd rather not be) to get the job done. I honestly never use Photo because I can't use it with game engines. It's as simple as that. 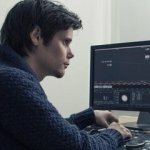 I feel betrayed, as I can't even think of any other alternative that does not export TGA, yet the features and the price point for Photo was what lured me in. Devs, @Patrick Connor ; you really need to take this seriously. Besides, students and indies would most likely seriously consider Photo if it could be used for their game productions since the price is very competitive! In Photo you need to switch this on. And in the Wacom tablet settings this must be on. Note that I also made a separate profile for Affinity Photo, because my default setting in Windows is to leave Use Windows Ink off.